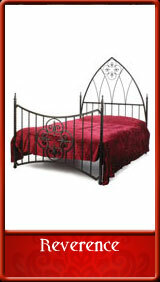 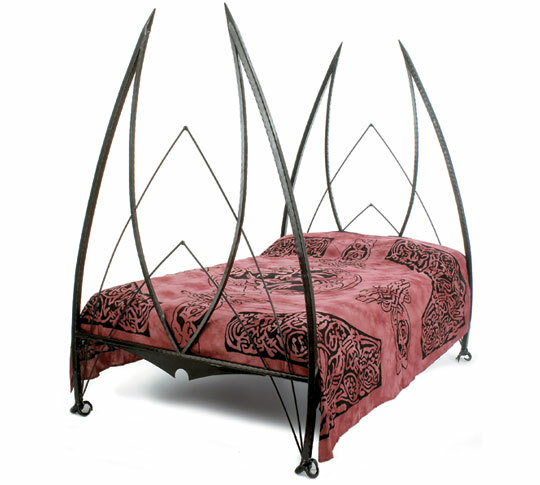 A striking and original wrought iron bed design with beautiful and graceful curves throughout representing the wings of a Demon of the Night, it's clawed feet ready to strike. 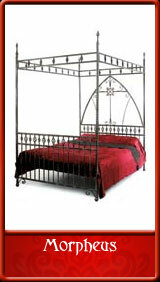 Made from hammered edge square steel and solid twisted bar. The standard height is 6'4"/1.93m, this can be modified to suit your own requirements if necessary. 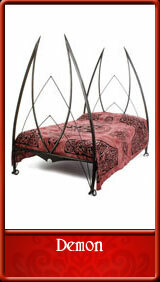 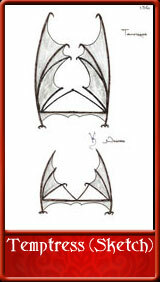 The following pictures are some examples of modified Demon beds and options. If you would like something different from those shown, please feel free to enquire. 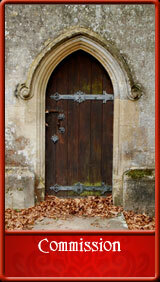 (Not incl. web infill) £P.O.A.